“This tutorial, in my opinion, is amazing. And so helpful. ​Each step is documented so well and gives someone all the information needed to make the flower, including the painting strategy. 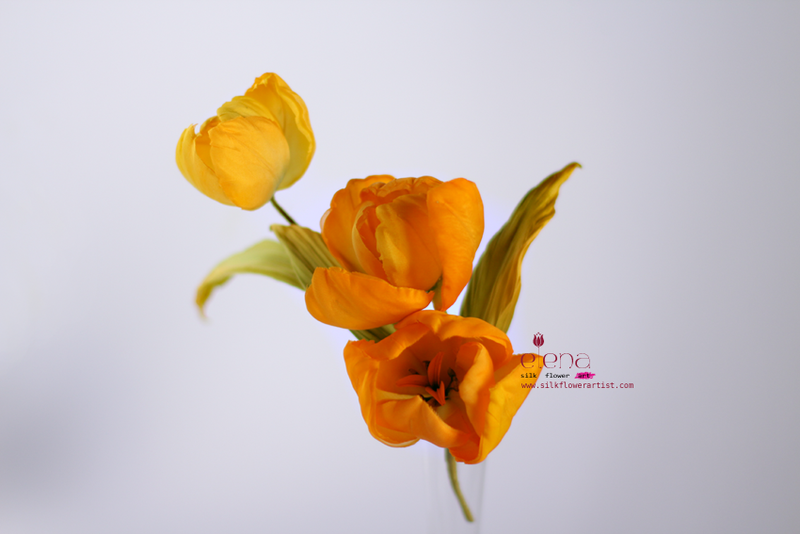 In this tutorial you learn how you can create silk tulips. 3. Full length video “How to shape petals” of this tulip + 32 pages with over 48 clear photos, instructions, coloring charts and pattern of this tulip. ​Numerous tips make this project easy to finish and help you create your own personal variations. This PDF tutorial is for milliners, accessory designers, silk flower makers, those, who has never tried to work with professional flower making tools and would like to learn Silk Flower Art. Get your copy of the "Silk Tulip" PDF tutorial and begin the creative process now!